I can cook. I don’t necessarily enjoy it, but I can do it. I often fall into ruts and am very unmotivated to cook. BUT I have 4 kids and a husband who need to eat… I mean… three meals a day… not to mention snacks! I often find dinner time sneaking up on me and then I just throw whatever I can together. Meal planning makes my life much easier and my family happy. 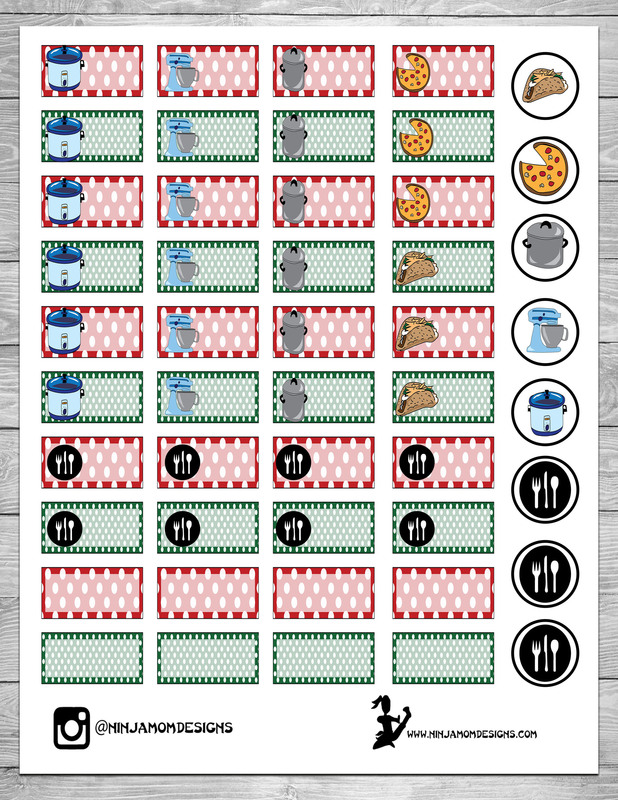 If I’m going to cook… and I’m going to meal plan… might as well make it cute and planner friendly… am I right??? 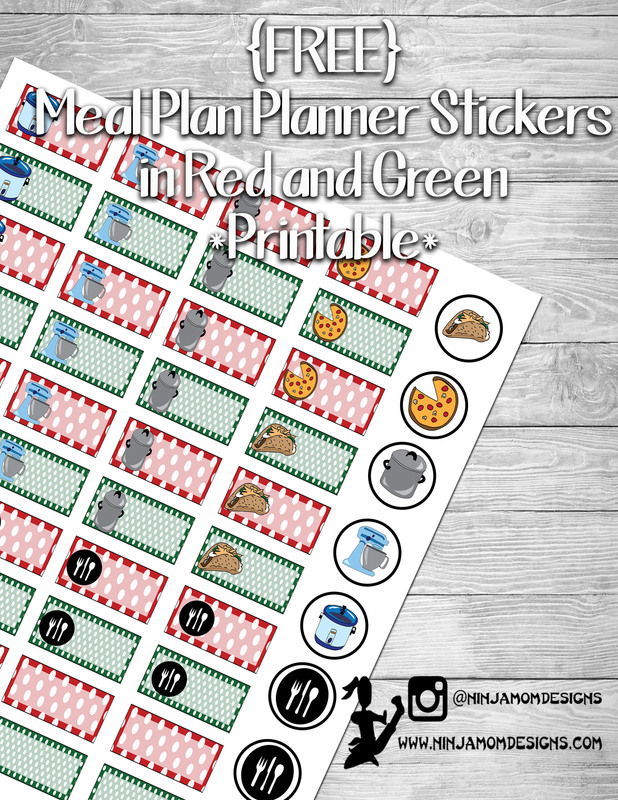 The meal plan boxes are 1.5 inches by .75 inches… perfect for the weekly layout boxes in popular planners! **Kitchen Clip Art can be found HERE.